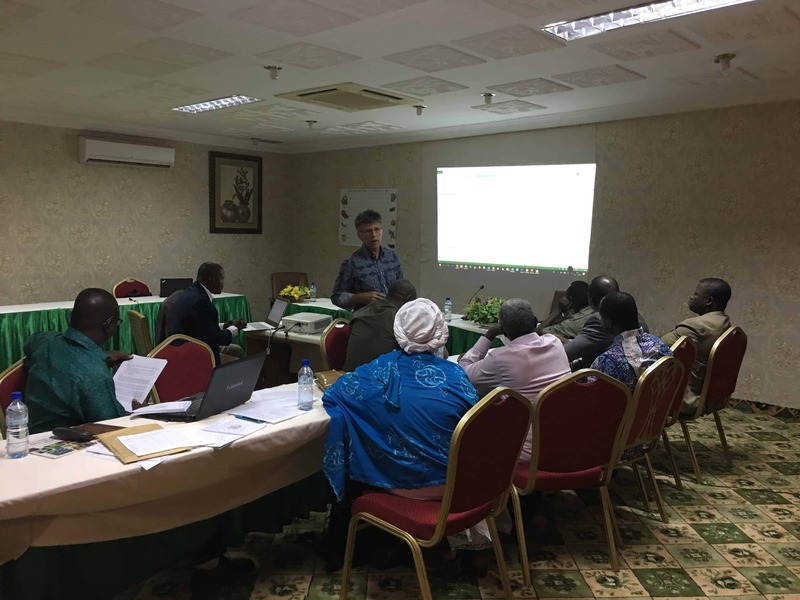 Thibauld Martin of CIRAD facilitated discussions on Day 1 of the SAFEVEG validation workshop. Africa is undergoing rapid urbanization: 60%, if not more, of its population will live in cities by 2050. Urban dwellers tend to consume more pre-prepared and processed foods, which contribute to over-nutrition and obesity. At the same time, the demand for safe, high quality, nutritious food is increasing among urban consumers. Meanwhile, abject poverty and under-nutrition persist in rural areas. Can the growing urban demand for quality vegetables be linked with rural and peri-urban areas to create employment and income for farmers and provide a greater diversity of safe and affordable nutritious food—especially vegetables—for all consumers, urban and rural? And how to ensure the increased income farm families generate is converted to healthier diets? To find answers and develop solutions, staff from the World Vegetable Center and the French Agricultural Research Centre for International Development (CIRAD) together with representatives from national research systems and local farmers specialized in organic vegetable production and marketing met in Ouagadougou to develop the SAFEVEG project concept. 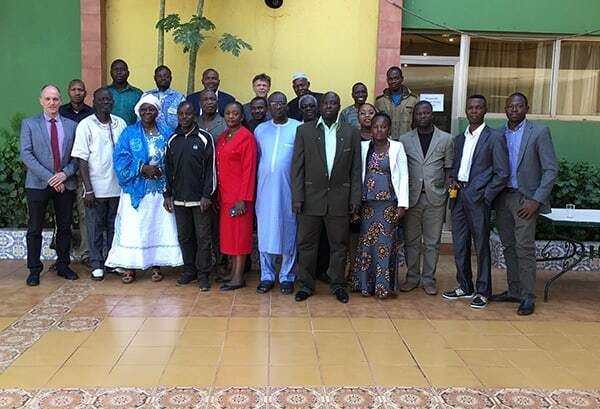 The SAFEVEG project aims to build scientific capacity at the national level in Mali, Burkina Faso and Benin through scientific Task Forces in three areas: 1) Climate-resilient seed, 2) Pre- and postharvest good agricultural practices (GAP), and 3) Vegetable demand creation and food safety. 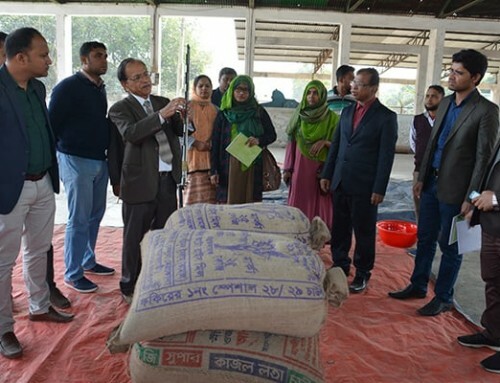 The aim is to establish youth vegetable business groups close to major cities that will cater to different vegetable market opportunities among urban consumers. Urban consumers have different degrees of purchasing power for quality vegetables, and farmers can learn how to market their produce for these specific economic niches. 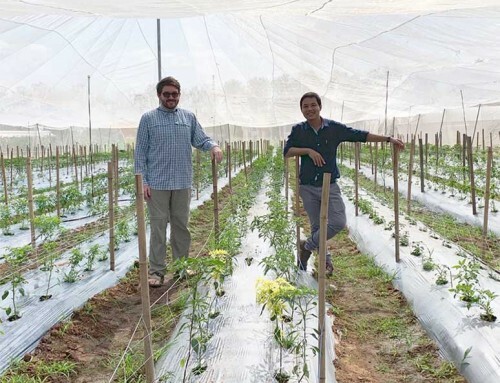 SAFEVEG partners will provide scientific backstopping: WorldVeg on seed, CIRAD to the GAP Task Force, and Wageningen University on vegetable demand creation and food safety. 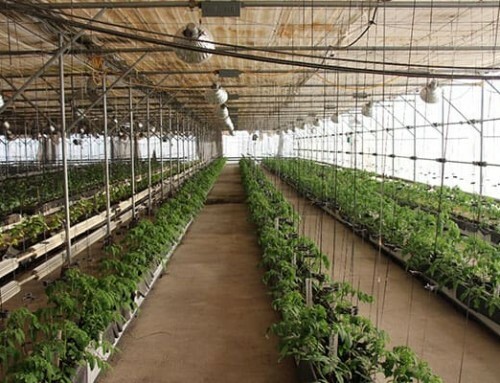 Burkina Faso’s Institut de l’Environnement et de Recherches Agricoles (INERA) is the national center of specialization for fruits and vegetables for the Economic Community of West African States (ECOWAS); it will play a leading role in coordinating the three Task Forces at the regional level. 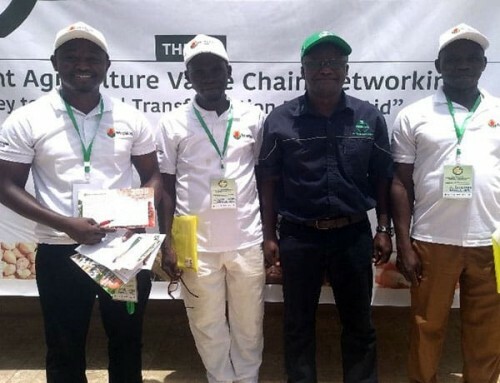 Partners hope the SAFEVEG project will help INERA reach the status of Regional Center of Excellence for Fruits and Vegetables within ECOWAS for the benefit of farmers and consumers across the region. The concept will be submitted to DeSIRA (Development-Smart Innovation through Research in Agriculture), the European Union’s new funding initiative for agricultural research. 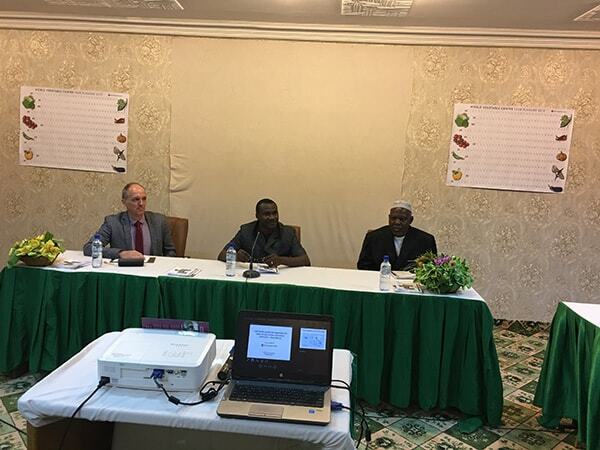 (l to r) Marco Wopereis, WorldVeg Director General, Vianney Tarpaga, INERA Program Leader for Fruits and Vegetables, H. Moubarak Sawadogo, a vegetable farmer from Burkina Faso. 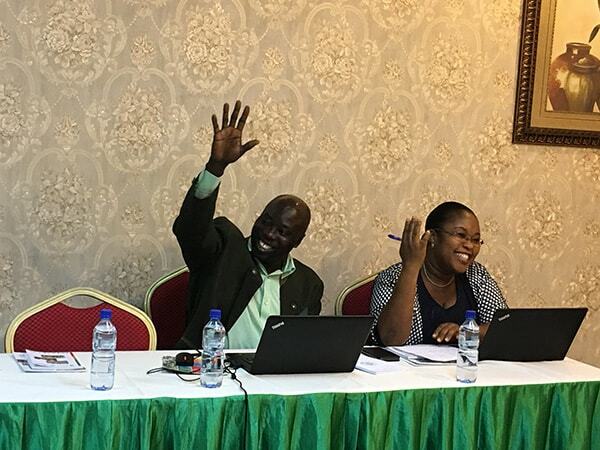 The WorldVeg team from West and Central Africa – Coastal and Humid Regions: Victor Afari-Sefa and Judith Honfoga.